Facebook was dealt a stinging blow this week when Apple forced the company to pull its security app Onavo from the App Store. According to Apple, the tool violated the store’s guidelines on data collection. 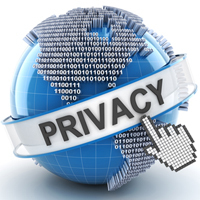 Before Apple’s action, Onavo had already attracted plenty of criticism for its privacy practices. The tool serves as VPN security that lets users browse the web and download other apps more privately, but it also allows Facebook to spy on users and gather data about rival apps and services. And that’s ultimately why Apple pressured Facebook into removing it. More than anything, this is an embarrassing setback for Facebook. Apple is one of the social media giant’s primary rivals, and the companies’ leadership often trade barbs in the press regarding privacy issues. But this is certainly the most public way yet that Apple has reprimanded Facebook for its security shortcomings.